Winmate launches the first Full HD Mediaplayer MPC500, capable of playing WMV9, MPEG 1,2,4 and MP3 in Full HD BlueRay playback quality. Specially designed with pure Digital DVI-D output, it allows the very best full digital playback quality to attract your customers. 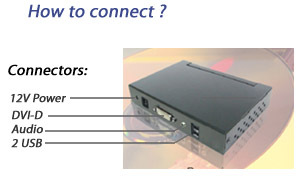 The rugged but slim design allow you to install the player anywhere and with very easy connection of just power and LCD cable. 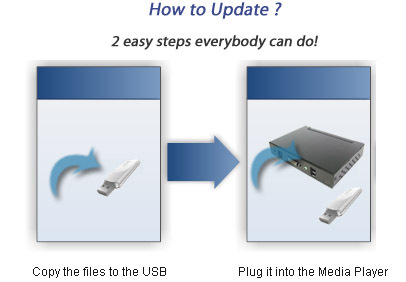 Playing from any USB storage, it is easy to change content, just by changing the USB storage. 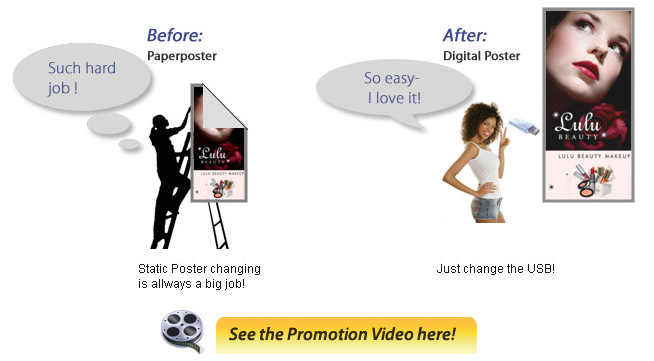 Update the Digital Signage just with changing the USB Drive- so simple!